Funded by The National Lottery and developed by Sport England, it is designed to help women overcome the fear of judgement that is stopping them from joining in. 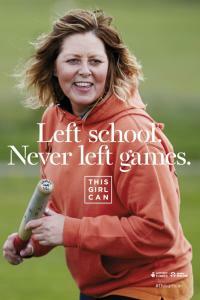 The This Girl Can campaign aims to boost the number of women getting active. 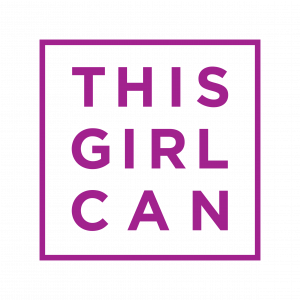 It seeks to tell the real story of women who are active and play sport across Derbyshire and the rest of the country by using images positive images and stories that show 'This Girl Can'. "Sweating like a pig, feeling like a fox" and "I kick balls, deal with it" are among the hard-hitting lines used to prompt a change in attitudes and help boost women's confidence. To find out how you can get active in your local area, go to the Club and Activity Search on the Derbyshire Sport website, and for more information on the national campaign, click here. The This Girl Can has inspired women and girls across the county through a range of projects and activities. By reading a few of the case study examples below, you will see that Derbyshire Girls Can! Still too fat to run? Amber Valley Ladies give it a try! 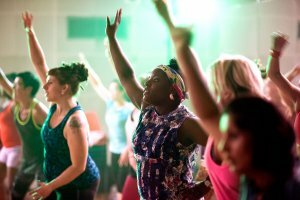 Sport England have created a fantastic guide called 'Helping women and girls to get active: a practical guide', the guide will help you get more women and girls in your area active - even if you're not directly involved in the sport or leisure sector. It provides hints, tips, suggestions and answers to your questions about how to attract more women and girls to your sessions. Reach is a national campaign run by sports coach UK that focuses on inspiring more women to get into coaching. Coaching is about helping people of all ages and abilities to get active, stay active and get better while being active. To do this you need a great set of interpersonal skills to which will bring out the best in everyone taking part in your session. Reach can help with that. On their website there is information to help you that includes hearing from women all around the UK who have done just that. 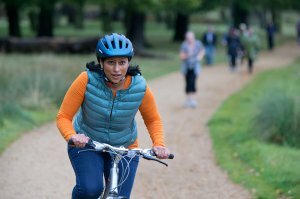 Go Where Women Are - explores our current understanding of women, their relevant motivations, barriers and triggers to getting more active and what this means for sports and exercise activities and initiatives. Women in Sport have a vision is to transform sport for the benefit of every woman and girl in the UK by working with organisations within Education, Sports and the CSP network. Sport England recognise the importance of getting more women and girls active and are working hard to persuade more to adopt lifelong sporting habits. National Governing Bodies (NGBs) have their own initiatives to get more women playing sport and offer support and resources. For example, British Cycling co-ordinates the Breeze programme that aims to get more women into riding bikes for fun.